This dataset includes information on quantitative studies and surveys of migrants conducted between 2000 and 2017. The scope is largely European, but a number of surveys carried out in the United States are also included. 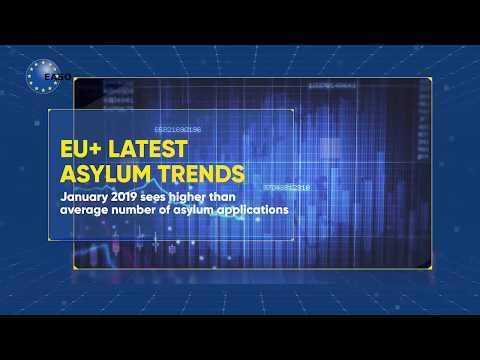 The dataset forms a useful companion to the report A Review of Empirical Surveys of Asylum-Related Migrants, available on the website of the EASO Research Programme. Detailed information on the collection of relevant surveys for inclusion in the database can be found in Appendix I of the report, while the codebook of the database can be found in Appendix III. The database covers some 157 studies, some of which include multiple items resulting in about 550 surveys. For each study or survey, the dataset provides a range information including the title of the survey, the countries where the surveys was conducted, relevant links and publications. Each study is then classified along 44 analytical dimensions, including research questions, theoretical frameworks, available questionnaires, population under study, sampling strategies and designs, modes of administration and interview techniques, limitations, and country-specific information. Additional information and materials on sampling methods and interview techniques were provided by a number of experts – including authors of the surveys contained in the dataset – and are available in Appendix II of the Report. A subset of quantitative surveys directly targeting asylum seekers, refugees, and displaced migrants is listed in an annotated bibliography in Appendix V of the report, which includes summaries of the contents and findings of such studies. The report also includes detailed information on about 25 qualitative surveys conducted from 2010 that specifically investigate migrants’ motivations to leave their country of origin. At EASO we are aware that this database is certainly not exhaustive. If you feel that this database should include additional relevant resources (e.g. articles, reports), please email your suggestions to:EASO-Research@easo.europa.eu or please provide your input filling this form.